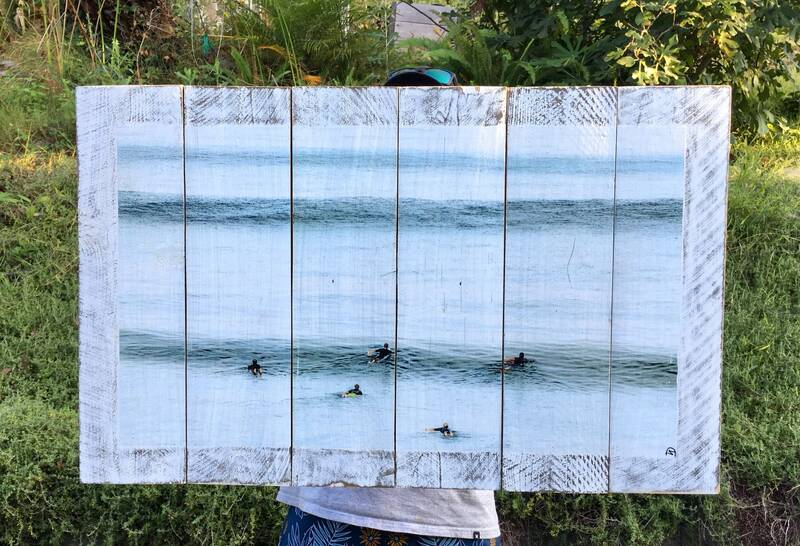 Shot at D Street in Encinitas. Surfers paddling for position as set waves are rolling in. 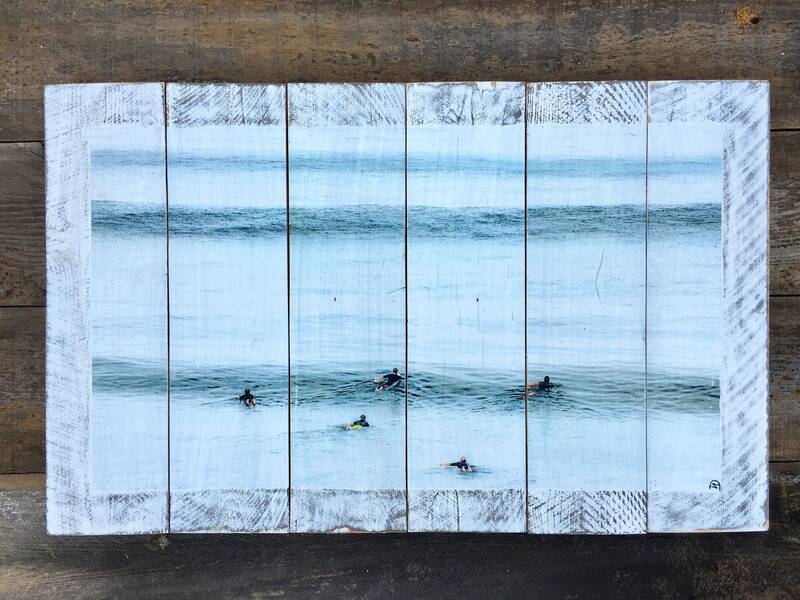 The image was transferred onto 6 pieces of reclaimed wood that are joined together. Its handmade process gives one of a kind result that makes each piece unique. The size is 30” x 20“. Wall hanger included.